Don't Miss Tomorrow's Demo Day! Join us for a FREE demo tomorrow! 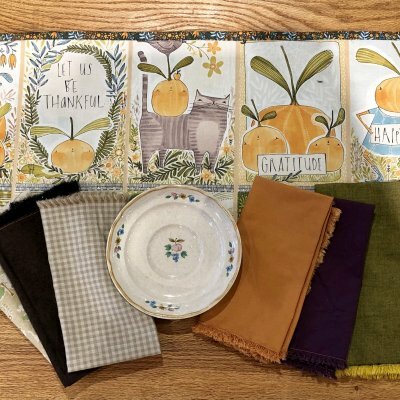 On Saturday, November 17th at 2:00pm, come see how to make some quick and oh-so simple dinner napkins, coordinating tea towels in a pre-printed panel fabric, and even a speedy table runner for your holiday table decorations! The final Sip & Stitch of 2018 is just around the corner! Join us for a tacky sweater party (if you choose to dress up), and cash in on some door prizes. To help with the scramble of the holiday gift-giving season, we have added TWO extra Sew-in nights between now and Christmas. That means interrupted time with your project, machine, and lots of productivity. Insert happy dance here! Also, mark your calendar for SMALL BUSINESS SATURDAY on 11/24! 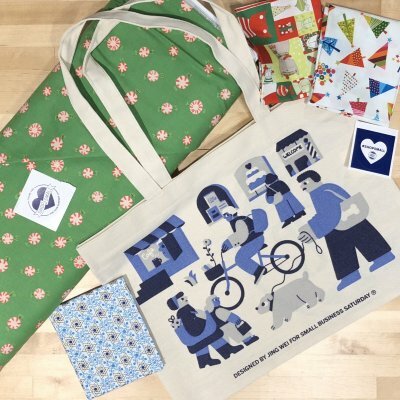 The first 10 people who spend over $25 will receive a one-of-a-kind tote bag! Lots of other specials will be happening, too. Please stay tuned to both the email newsletter, Instagram, and/or Facebook!